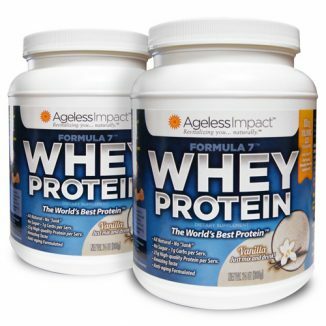 Each serving packet now with an amazing 1,000 mgs of pharmaceutical-grade L Carnitine And Loaded With B12. 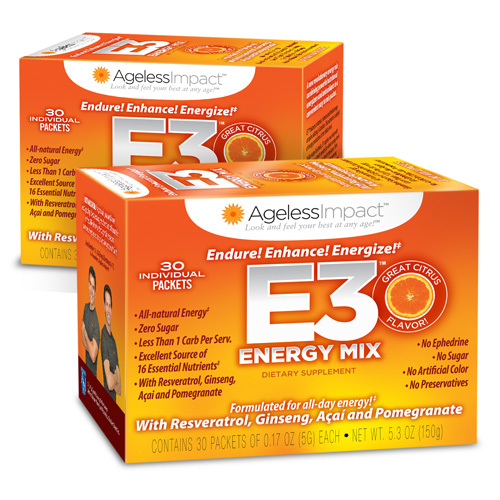 Each Box contains 30 convenient – single serving packets of e3 Energy Mix. 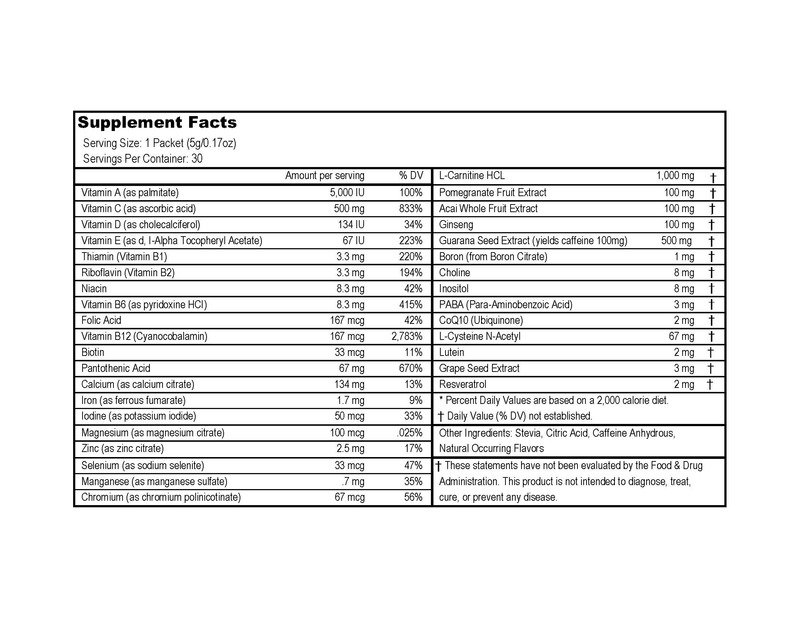 Compare and discover why this is one of most cost-effective sources of L Carnitine on the market today at 30,000 mgs per 30 packet box. Two boxes e3 Energy Mix that have 60 individual packets. 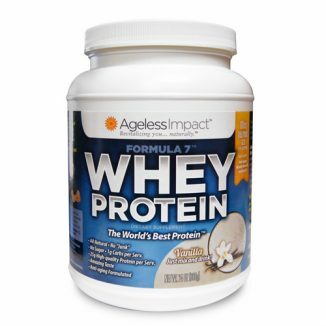 Power Packed With 1,000 mgs Of L Carnitine And Loaded with B12! Two boxes e3 Energy Drink Mix that have 60 individual packets. E3™ Energy Drink is a revolutionary, new, energy drink combining powerful nutritional “energizers” in a convenient easy to mix packet. At the heart of E3™ Energy Drink is L-Carnitine, a nutrient that is a catalyst for energy production at the cellular level. Unlike many fad drinks that bring you up with a lot of caffeine, sugar, or worse, E3™ Energy Drink actually supplies your body with many of the nutrients it needs for vibrant energy levels. Plus the energy is designed to last all day! No sugar – Sweetened naturally with Stevia! E3™ Energy Drink helps provide muscle energy and helps enhance brain clarity for hours; unlike many chemical type energy formulas which only give you a “rush” that is gone in 20 minutes, often leaving you feeling more tired than before you took the product. Whether you’re an athlete or a professional on the go, you need to put back what the day takes out of you. E3™ Energy Drink is formulated for all day energy! Experience it for yourself and feel the difference! Awesome! I’m not a coffee drinker. Most energy drinks out there are full of chemical junk. I’ve been looking for an energy drink that is natural and will keep me alert all day especially being a single Mom of 2 children and a Elementary school teacher. I found it in E3. There’s no ephedrine. No sugar. No artificial colors. No preservatives. It is exactly what I was looking for. It’s an energy drink made of high quality natural ingredients. It does not give you the sugar crash that most “junk” energy drinks do. Wow,finally!!! I’m bursting with energy. I highly recommend it. I researched a little about their background and checked their website and they have LOADS of information about a general healthy lifestyle. Their blog style and emails opt-in marketing tells me they believe in supplying the consumer with the best product and truly care. My thoughts of this product – After trying this energy packet (Powder formula), I found out it’s best to use room temperature water (3/4 cup of water) and mix it. Once thoroughly mixed, I would proceed with adding 2-3 ice cubes and stir for about a minute until chilled. Once the ice is melted, you have the suggested amount of water per packet. There is no jitter effect and no afterthought that you just drank an uncomfortable amount of artificial sugar. I do feel the energy come on after about 15 minutes. I will say this, I’ve been taking pre-workout energy powders for 8-10 years. Because I’ve tried everything on the market, products like this would have little effect on me as they would a normal person. 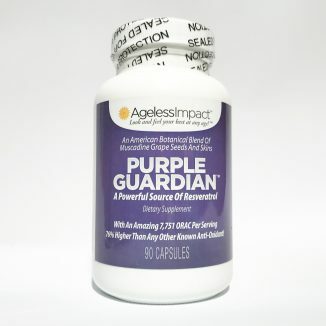 I think this product is great for someone who needs a little lift of push at work or home. If you’re looking for your caffeine fix 1st thing in the morning, stick to your starbucks and take this product around 1-2 P.M. The e3 is the ultimate product available for focus, sharpness, and energy! I even feel like I can see clearer! No crash, just a soft blast as needed. “I can’t say enough great things about E3! It is the one and only product that I will use when I need a “pick me up”. I love it because it is such a natural increase in energy that I don’t even realize it has “kicked in” until I realize I’m not tired anymore. I won’t use any of the energy drinks on the market because they are loaded with caffeine and sugar and the few times I did use them, my heart raced and I felt jittery. That does not happen with E3. All 3 of my daughters love it as well. My oldest daughter has 3 small children and is constantly on the go. My middle daughter is in school getting her Masters and it’s the only thing she uses to sustain her energy to study and my youngest daughter plays college basketball and takes one before every game. In fact, one of her teammates noticed the difference when my daughter played and asked her if she could try one. Every game after that she asked my daughter for one before the game. “Due to its acidity and the afternoon crash, I’d been trying to kick the coffee habit for literally years with no luck. A friend gave me a packet of E3 and suggested I give it a try. Thinking that it was just another energy drink full of garbage ingredients, I was skeptical. I really didn’t need to substitute one bad habit for another. I did the research on the ingredients and was pleasantly surprised at what I found… natural ingredients with names I recognize and can pronounce. There is no jittery effect (as with caffeine) and no feeling of having just ingested a sugar bomb. My thinking is clear and my energy is sustained throughout the day with no dreaded afternoon crash. As a side effect, I lost a little weight because I wasn’t in search of sugar or more caffeine every afternoon. E3 completely removed my sugar cravings.